The imposing Kranskop Mountain that rises above the surrounding landscape is a natural beacon on the N1 Highway that runs between Pretoria and Polokwane en route to the Kruger National Park. This area is well known for its abundant plants and indigenous trees, prolific birdlife and free roving game. Nature and adventure enthusiasts also enjoy spending time hiking, game viewing and other outdoor activities. The bustling town of Modimolle boasts several historic venues and monuments for those who enjoy South Africa’s rich heritage. 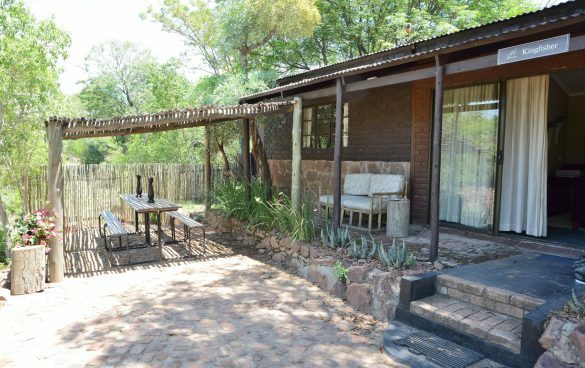 Here, in the heart of the Bushveld on a 64-hectare farm, are Birdsong Cottages, a series of self- catering cottages 14 kilometres outside the town on the R101. At Birdsong, guests wanting to escape city life bustle can choose between budget, standard and luxury cottage units. Nestled in the bush, Birdsong Cottages get their name from the plentiful birdlife that flock to the Nylsvley Nature Reserve, a 30-minute drive away. Birdsong is an easy 90-minute drive from Pretoria and 2 ½ -hour drive from Johannesburg. As soon as guests turn off the R101, they start to unwind. Driving on the eight-kilometre gravel farm road, guests pass through beautiful natural bush before reaching the peaceful cottages nestling in the hills. 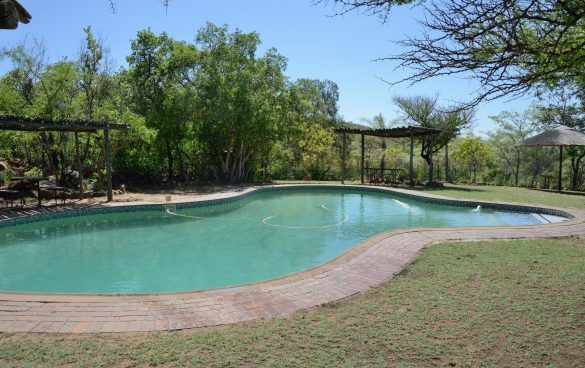 The farm also features a country pool, two farm dams and surrounding gardens. Birdsong Cottages boasts a pleasing variety of accommodation to suit everyone; from comfortable budget or standard four- and eight sleeper cottages at the foot of the two farm dams; to a relaxing two-sleeper stone cottage, a cosy four-sleeper rondavel and an upmarket six-sleeper thatched villa located on the hill overlooking the dams. For couples, friends, families and small groups that enjoy peaceful natural surroundings, few can beat what Birdsong Cottages has to offer! There’s an added bonus; Birdsong Cottages are ideal to hold small parties, functions and wedding receptions. Most guests that come to Birdsong cottages want to engage with nature by strolling through the bush, taking refuge from the hot African sun by dipping in the farm pool or enjoying the peaceful sounds of birdsong. For the more adventurous, this secluded nature farm offers hiking trails with splendid views. In addition, game lovers can view various types of wildlife including warthog, zebra and several antelope species. The “Koi Pond” reception venue is a 60 seater venue ideal for indoor wedding receptions, events, functions, launches, family reunions and more. The venue boasts a magnificent indoor koi pond which is the main feature of the hall, as well as a unique bar and serving counter, with a beautifully decorated seating area for guests to enjoy their meal. Call us today for more information. The Edwin Cameron Boma at Birdsong Cottages is the perfect setting for outdoor wedding receptions, conference breakaways and teambuildings, family and group get-togethers and functions. It is also ideal for romantic evenings for two in the heart of the bushveld with the fire glowing and the starry sky up above. What makes Birdsong Cottages special? When you need to unwind in the restorative surroundings of unspoilt nature with family or friends, Birdsong Cottages offers a tranquil Bushveld setting on a game farm with easy access to Pretoria and Johannesburg. Variety of comfortable self-catering units to suit different budgets. Ideal getaway to laugh, relax and socialise with others while you prepare laid-back meals together, enjoy a barbeque under the stars, get up early to go bird watching or just take a leisurely stroll through the bush. Facilities for functions, events, launches and wedding receptions. 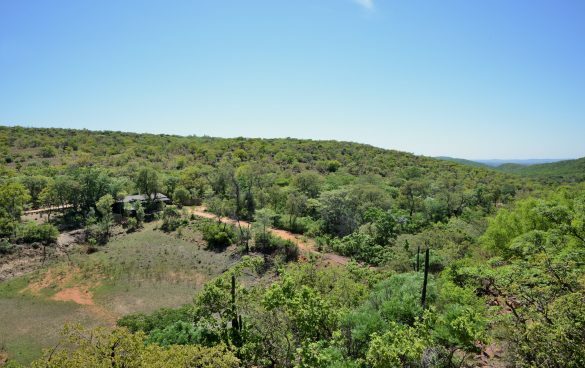 Located 14km outside of Modimolle on Farm Rietspruit, Driefontein, Section 29, Limpopo Province.